Glitter Fan in Several Colors with Flower Design This fan comes in several designs and colors. 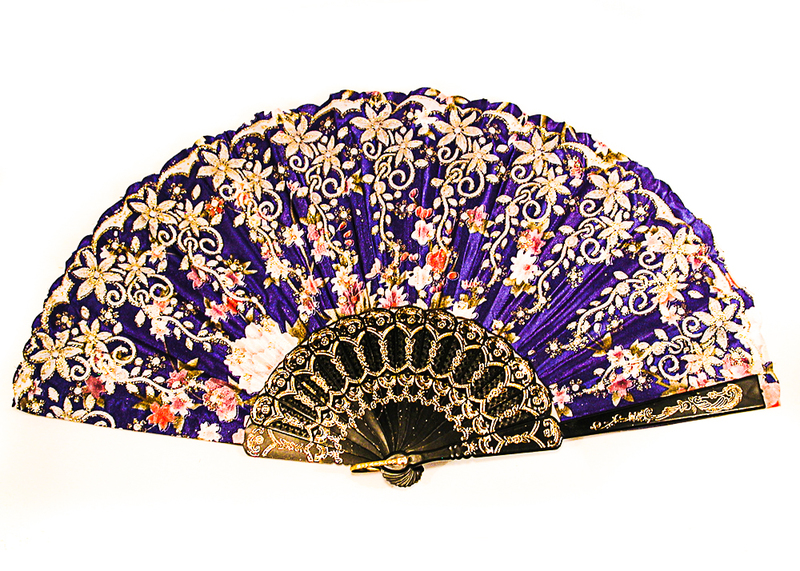 It is made from shiny fabric with a colored design and accentuated with gold glitter Beautiful fan for parties, costumes and dancing. Color: royal Hue: Code: #00009C.